A lawsuit filed against Sony over changes to the PlayStation Network terms of service has been dismissed. In September of 2011, Sony made some pretty big changes to the PlayStation Network terms of service that effectively eliminated the right of users to bring class action lawsuits against it. 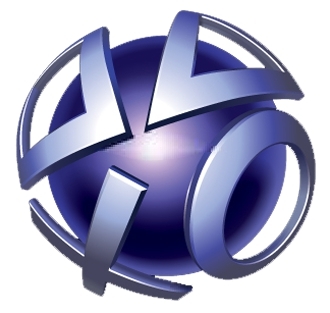 The updated TOS declared that all disputes between PSN and its users would be settled through arbitration unless the company agreed to let it happen. Users can opt out of the amended terms by contacting Sony in writing within 30 days of agreeing to them, but choosing to hold on to the right to file a class action suit means giving up the option of out-of-court settlements. The TOS amendments, not to mention the fact that arbitrators would be hired by Sony, stacked the deck pretty heavily in the company's favor. This didn't sit too well with an awful lot of people, in particular a California man who sought to bring a class action lawsuit against Sony over its efforts to block class action lawsuits. He claimed that the TOS amendments amounted to unfair business practices under the terms of California's "Unfair Competition Law" and a "tortious breach of the implied covenant of good faith and fair dealing." The courts disagreed, however, and have dismissed the case, saying it fails to show either a valid UCL claim or a breach of any particular agreement. The crux of the decision is that the plaintiff chose to agree to the amended terms of service and then did not opt out, meaning that the only "economic harm" he can claim to have suffered is the loss of the right to file a class action lawsuit. "This 'harm,' however, is too conjectural to support a finding of economic injury here and now," Judge Susan Illston wrote in her decision. "Plaintiff himself explains that 'if' defendants engage in 'wrongdoing' in the future, he will only be able to seek relief in an individual arbitration which is 'unlikely' to be cost effective. However, plaintiff cannot allege that defendants will engage in wrongdoing in the future, that he would pursue a remedy for that unknown wrongdoing, or that the type of harm he suffered would not be cost effective to resolve through an individual arbitration. By his own argument, plaintiff demonstrates that he has not, as of this date, suffered a concrete and particularized economic injury." There's quite a bit more to it, with plenty of phrases like "sua sponte" and "res judicata doctrine," but the bottom line is that the lawsuit has been given the boot. The plaintiff was given ten days to amend his filing to "state a claim for declaratory relief" but the UCL and tortious breach claims were both dismissed without leave to amend. As far as further action against Sony goes, in other words, that's pretty much that.